This local musician will join us in the studio on Tuesday, April 4 at 2pm. He releases his new album, Circuit Sessions, the same day. Recorded in Duluth, the disc features musicians Eric Pollard of Actual Wolf, Steve Garrington of Low, and Minneapolis guitarist Jake Hanson. 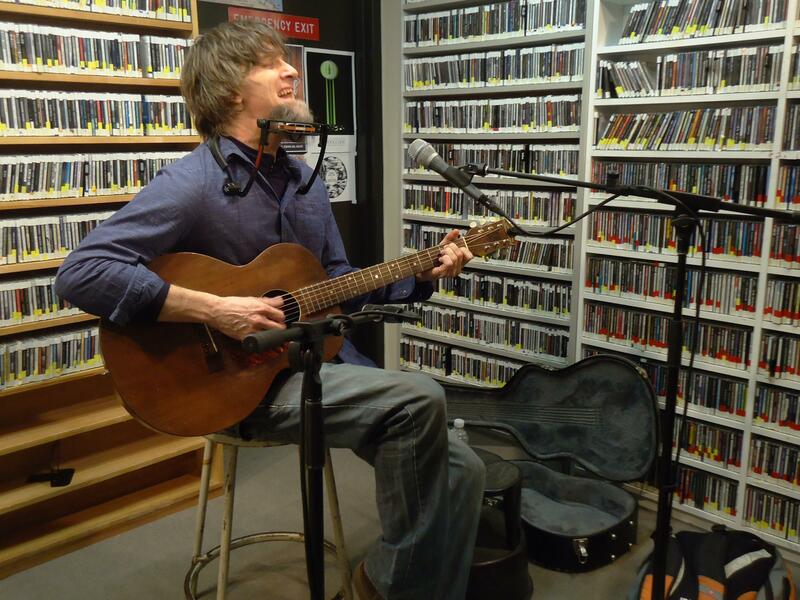 We'll talk with Teague about the album, his writing and podcast projects, and his upcoming release show in Duluth. Fiddler Eric Christopher and banjo player Anthony Ihrig of this Minnesota bluegrass 5-piece joined us in the studio on March 31, 2017. 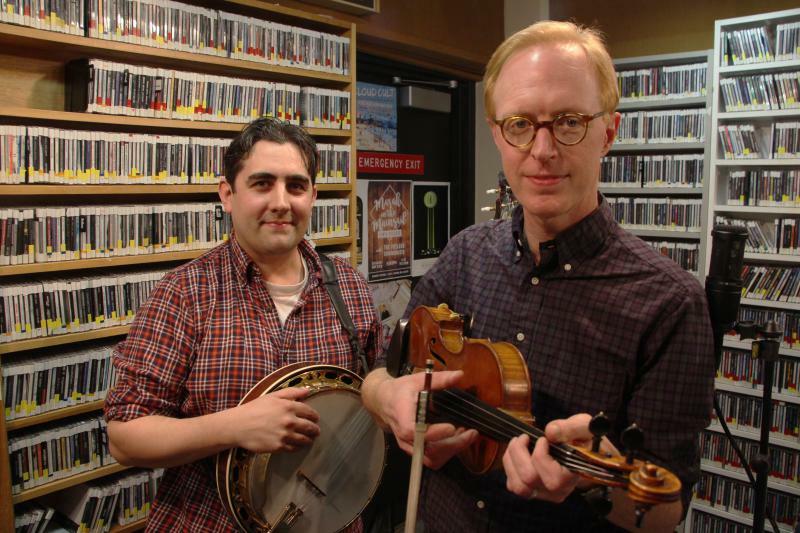 We talked about the band's non-traditional approach to playing traditional bluegrass; for example, their new album, "Daddy was a Bankrobber," due out June 16th, takes its name from a Clash tune they cover. The band was in town to play at their first Cabin Fever Festival, sponsored by the Minnesota Bluegrass and Old-time Music Association. 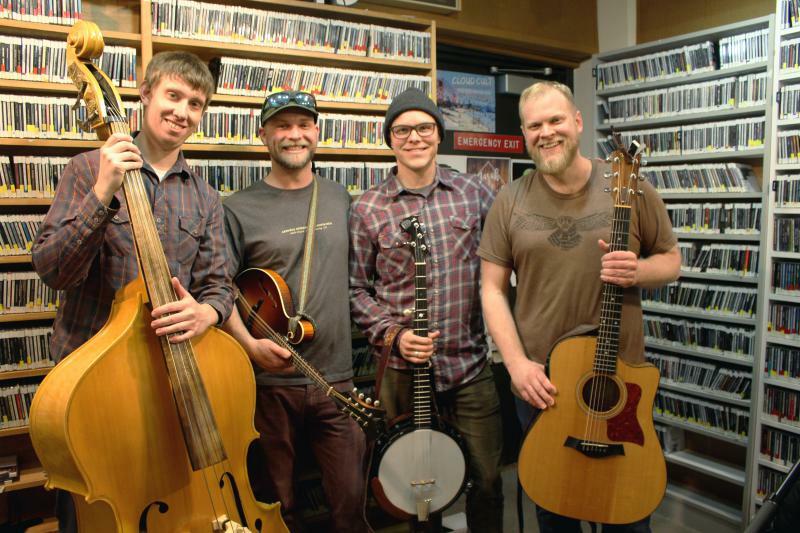 This Portland, Oregon-based band features former Duluthian (and Tin Can Gin member) Harrison Olk on banjo. The bluegrass quartet released its debut studio album, Caught in the Rain in 2016. They joined us in the studio on April 12, 2017 to give us a preview of their show at the Red Herring Lounge in Duluth the same evening. This Duluth quartet's folk/rock sound has evolved in a post-rock direction on their latest album, Red V. They joined us in the studio on February 15, 2017 for a preview of their release show at Karpele's Manuscript Museum. 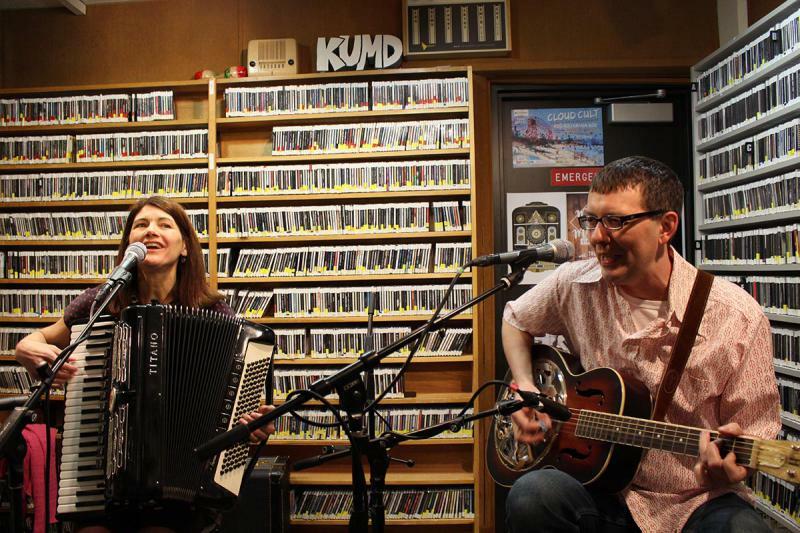 This charming local duo features accordion player Suzi Ludwig of Father Hennepin and guitarist Jimi Cooper of the Fractals harmonizing on quirky tunes about outhouses and hoppy beer. They released their first album on April 28, 2017, and we gave you a preview that afternoon when they joined us in the studio. Next up, they perform at Duluth's Homegrown Music Festival on Tuesday, May 2 at Vikre at 7:30pm.